Ductless mini-split HVAC systems provide an easy-to-install alternative to invasive, expensive ductwork. Because they’re smaller, ductless systems draw much less energy than central HVAC systems. They’re also available in both A/C and Heat Pump models, so you’re covered all year long. One of the biggest advantages of ductless HVAC systems is their built-in ability to “zone” a home. Zoning is simply heating/cooling different areas of your home differently. Zoning lets you fine-tune your HVAC for maximum comfort and savings. You’ll heat or cool the rooms you use most exactly how you want them. There is a room you prefer to be hotter or cooler than normal. This indoor- and outdoor-unit pair come together to provide efficient, flexible heating and cooling to your home. With ductless technology, you don’t have to gut your home to install ductwork. 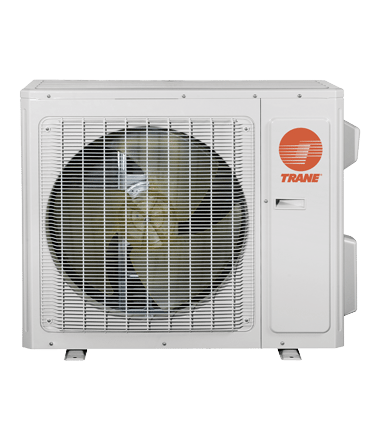 That means you can install your Trane ductless HVAC system almost anywhere. In addition to being thermostat compatible, this ductless mini-split comes with a remote control for easy temperature adjustment. 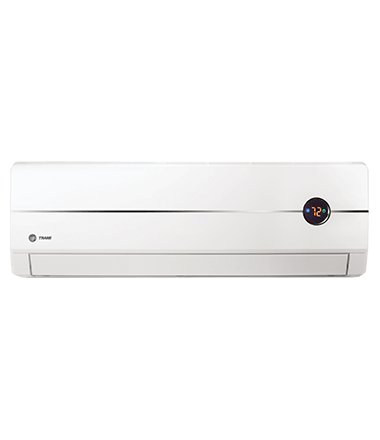 Ductless mini-split systems are, by nature, more quiet than their central counterparts. It’s so quiet that you’ll barely notice it’s there.